CLEMSON — Clemson University has been honored for its efforts to create a comprehensive interpretive plan to more effectively preserve and share its unique history. The university was awarded a 2018 Historic Preservation Award, sponsored by Preservation South Carolina and the South Carolina Department of Archives and History. 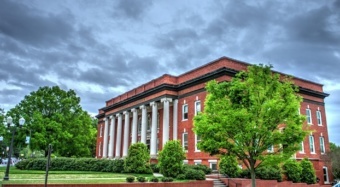 The interpretive plan stemmed from the work of the university’s History Task Force Implementation Team, which was appointed in 2016 to address recommendations of a board of trustees Task Force on the History of Clemson. The board’s recommendations were intended to ensure that the university accurately tells its complete history, including difficult stories related to race relations. The interpretive plan aims to identify and prioritize stories about Clemson’s past, present and future and recommend ways to tell them. More than 70 faculty, staff, students, alumni and trustees participated in a three-day facilitated focus workshop to help develop the plan. The implementation team worked with the Boudreaux Group an architecture, design and master planning company based in Columbia, and nationally recognized interpretive planning expert John Veverka.